Physicians and patients are increasingly seeking improved control and comfort from drug delivery systems designed to allow reliable self-administration of a range of injectable medicines. Enesi’s technology has been successfully applied to several therapeutic peptide programmes. Our preclinical studies show that pharmacokinetics resultant from the solid dose implant are equivalent to those seen with conventional injection for several self-administered drugs, including octreotide (acromegaly), teriparatide (osteoporosis) and exenatide (Type 2 diabetes). These programmes are available for immediate licensing and more details can be provided upon request. 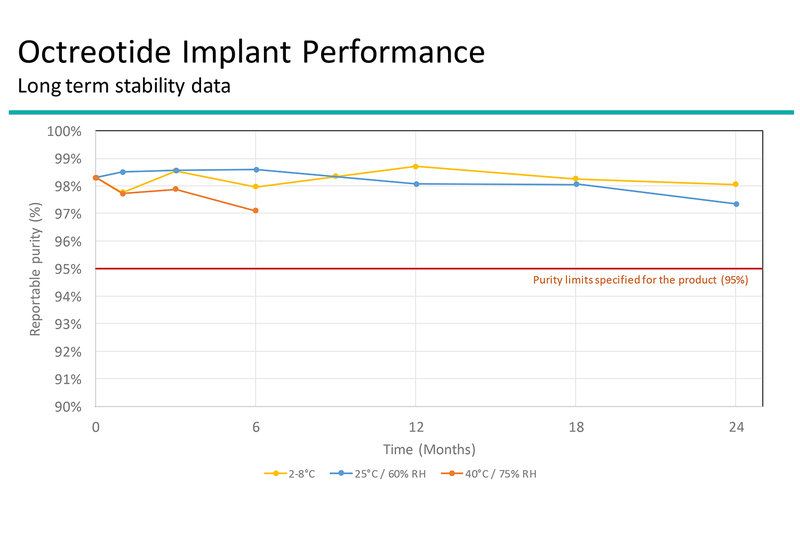 Implants are stable at 25⁰C and 2-8⁰C for at least 24 months. Achieved 100% penetration in clinical trials. Bioequivalence wrt Cmax and AUC to Sandostatin® demonstrated.